Exciting and scary are the most common adjectives used by first-time home buyers. Buying your first home engages your emotional, mental, and financial worlds like no other decision, with the possible exception of marriage. You can go into it blindly or with savvy. Knowing these six tips can save a lot of heartache, stress, and money. 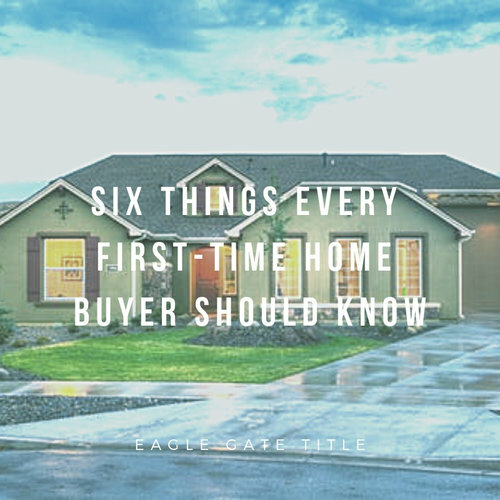 This article presents six of the most important things every first-time home buyer should know. 1. Build a steady employment record and strong credit score. First-time home buyers need a solid record of work and payment history on other debts. Prepare for at least one to two years. Mortgage lenders (underwriters) want to see six months to two years of employment and income, so be able to show a steady track record. If you’re self-employed (1099), you’ll need one or two years of tax returns, showing a profit. Wage earners (W-2) sometimes need to show only six months of steady income. Be sure to pay all debts on time every month. If you have a car payment, never let it go past 30 days late because that’s usually when a negative mark hits the credit bureaus. Making your secured and unsecured loan payments on time will raise your credit score, which helps you to qualify for a mortgage with a good interest rate. (A FICO score over 700 will make getting a good loan much easier than a 630 score will.) Save as much money as you can for a down payment, closing costs, etc. A down payment will give you instant equity and lower the interest rate of your loan. 2. 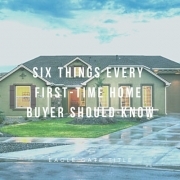 Talk to people and check the internet for programs that help first-time home buyers. Most of them are administered by government or non-profit entities. They’re in most cities, and they offer assistance on down payments and low interest rates. If that pursuit meets a dead end, talk to the private mortgage companies. 3. If you qualify for $250,000, aim for less than that. For example, if you get a house for $200,000, you’ll have more discretionary income for home improvements, lifestyle, and savings. You don’t want your house payment to be shackles around your ankles. 4. In deciding where you want to live, experts recommend considering family, work, health, convenience, and investment. If your disabled mother needs you, it’s probably not good for anyone if you move far away from her. Consider your work life, what you enjoy doing and where you can make a living. Location can affect allergies, illnesses or pain, stress, hobbies, and mental health. For example, if you tend to get depressed in cold, dark winters (SAD, seasonal affective disorder), don’t move to Alaska, no matter how much the job pays. Do you want the convenience of the city, or do you value more the quiet and the freedom to keep animals, which the country offers? Do you want your home to appreciate fast in value for profitable resale, or is long-term stability more important to you? First-time home buyers sometimes get so excited about a particular house that they neglect to consider how living there will affect the other aspects of their lives. 5. Low-ball offers are ok, if you don’t expect any help from the seller in paying for closing costs, and if you have a good down payment. If you are going to ask the seller to contribute to closing costs, then offer closer to their asking price. You can also include a clause that you will beat anyone’s offer by $1,000, if you really don’t want to lose the house to another buyer. After inspection, you can continue to negotiate when there are repairs to be made. 6. Check with the city, or get a land survey to identify the exact boundaries of the property. You may be surprised. This is a common mistake by first-time home buyers. You have to know your property boundaries before dedicating time, work, and money to landscaping. Also, ask the HOA or developer about any future plans for facilities near your house so you can decide if that facility is acceptable to you or not. Eagle Gate Title Insurance Company makes no express or implied warranty respecting the information presented and assumes no responsibility for errors or omissions.